Mold Inspection By Experts at DryAgain Water, Mold and Fire Restoration Services In San Bernardino, California, 92401. Which San Bernardino Mold Inspection Company Is Right For Your Home? Time is of the essence when it comes to mold damage. Mold damage can cause problems to your home and your health. This is why DryAgain Water, Mold and Fire Restoration Services is available day and night to begin your mold inspection. Our full range of mold remediation services include mold inspections, air quality testing, air purification, mold removal, and any repairs needed to keep your home mold free. Our mold inspection staff is fully certified and insured. We use only the latest technology to make mold removal seamless. 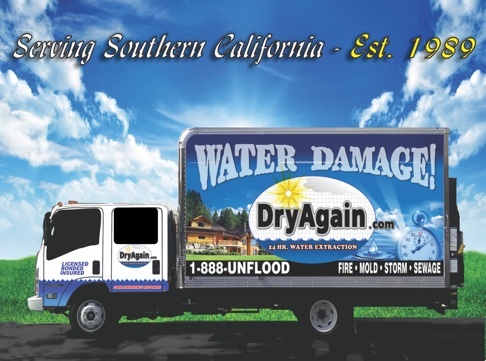 Of all of the San Bernardino mold remediation companies, DryAgain Water, Mold and Fire Restoration Services is first in quality and customer services. Our mold inspection services are guaranteed. Contact us today at (909) 337-7900. Our courteous customer service teams await your call!